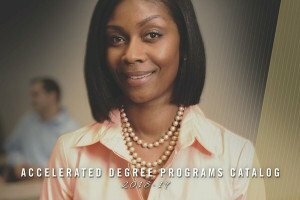 Accelerated degrees are specifically designed for working adults who want to fast-track their education. This makes it possible for you to finish your degree without taking time away from your family, work, or hobbies. In other words, you don't have to sacrifice your quality of life to earn your degree. By attending one-night-a-week classes and completing out-of-class assignments, you can earn your degree in as little as 18 months. The Accelerated Degree Program uses a quarterly twelve week format. You will meet as a class with your instructor once a week for four hours in the evening from 6:00 to 10:00 p.m., and then complete additional assignments as homework. This allows students to attend classes that will not interfere with their work schedule. Classes are held at multiple convenient locations throughout the St. Louis area. Complete your degree using an expedited design. The quarterly format enables you to obtain an enhanced number of credits by meeting once a week in the evening, plus finishing out-of-class assignments. Jump-start your education and your career. 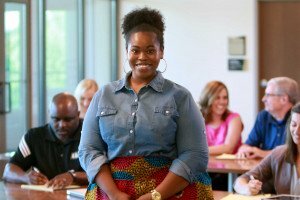 Our programs include challenging, faculty-led courses for in-demand undergraduate and graduate degrees from Lindenwood University that will help you advance your career. Participate in small classes with experienced faculty. Most class sizes have no more than a dozen students, offering an excellent opportunity for in-depth learning. Our faculty members are experienced instructors with real-world jobs, and you'll be able to expand your business network by attending class with others in the same field. Earn an affordable degree in a supportive environment. We know the challenges that working adults face, and we realize that many students have not been in a school environment for years or even decades. We want to see you succeed—both now and after you've earned your degree. The Accelerated Degree program offers advisors to guide you, free tutoring to complete coursework, and professional support in our Student Financial Services to help navigate your financial aid choices. This unique program allows you to fast-track your degree so that you can begin the next phase of your career. Call us today at (636) 949-4949 or contact eveningAdmissions@lindenwood.edu to learn more about the School of Accelerated Degree Programs. Welcome to Lindenwood University’s School of Accelerated Degree Programs. We have proudly served adult students since 1975. We currently offer 18 continuously accredited degree programs, with nine emphasis areas. We have a degree program to fit your interests! The School of Accelerated Degree Programs is committed to continuous improvement. We are developing more courses each year (onsite and online) to give students more choices and greater flexibility to tailor an education that works best for your lifestyle. We constantly watch education and industry trends to identify new degree programs. We look for ways to improve our student services, expanding Student Success Center services and providing free writing and math tutoring services. We know it can be challenging for adults to earn a college degree because you juggle so many family, job, and community responsibilities. Our accelerated format makes it possible to earn a degree while managing the competing demands of your busy life. Our accelerated format allows you to attend class one evening per week and take a cluster of three related courses at one time taught by one highly qualified instructor. With our 12-week quarter terms, you can earn up to 36 semester credits per year and complete a bachelor’s degree in less than four years or a master’s degree in as little as 12 to 15 months. We make our accelerated format even more accessible by offering courses at eight convenient locations in the St. Louis region, from Collinsville, Ill. to Wentzville, Mo. Why should you consider earning a degree from the School of Accelerated Degree Programs? Earning a degree is a great way to gain new knowledge, skills, and abilities that will help you stay relevant while building your professional credentials. Read about our programs, and I’ll bet you get excited about the learning possibilities in your future! The mission of the School of Accelerated Degree Programs within Lindenwood University is in alignment with the mission of the University. Using the Socratic method of learning. Providing a structured, but wide-ranging approach in majors in business administration, communications, creative writing, criminal justice, gerontology, health management, human resource management and information technology. Preparing students to be competitive in an increasingly global marketplace. Developing students' analytical and communication skills, with emphasis on both written and oral communication. Using a cluster format to serve the adult learner. Providing mentoring for every student. Developing an appreciation of the importance of continuing growth and education with an emphasis on values-centered thinking. 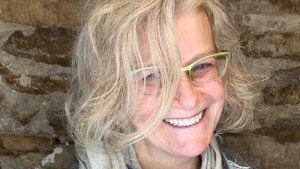 Award-winning fantasy and sci-fi author Kij Johnson will continue the Lindenwood University MFA in Writing program Craft Talk series from 7 to 8 p.m. Thursday, March 28, at Harmon Hall Room 136 on Lindenwood’s St. Charles campus. The event is free and open to the public. OnlineMasters.com has named the Lindenwood University online Master of Fine Arts in writing degree the number-2 online creative writing program in the United States while naming it “Most Innovative” of the ranked programs.